Las Vegas hotel occupancy and tourism was at record levels during July 2007. Not even the extreme heat could stop the Las Vegas visitors. A historically weaker month of the year for visitors, there was a slight surge from July 2006, with a reduction of 33 percent in conventions in Las Vegas, Nevada real estate. The hotel occupancy rate in Las Vegas was a record setting 92 percent with 3.4 million in visitors. Las Vegas, Nevada real estate casinos made $1.06 billion in February 2007 from gamblers. This is a 2.9 percent increase from the same month in 2006, according to the state Gaming Control Board. Some of the biggest winners were casinos on the Las Vegas Strip including, Mandalay Bay, MGM Grand, Venetian, Wynn, and Mirage Casino. 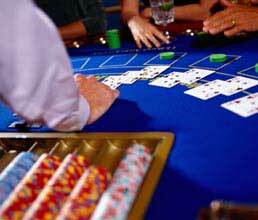 A total for February included $574.7 million from gamblers. A research analyst said there were several special events which drew high rollers to the city including Chinese New Year, and the Las Vegas, Nevada sponsored NBA All-Star Game. Can you believe that there were higher expectations from these two events?